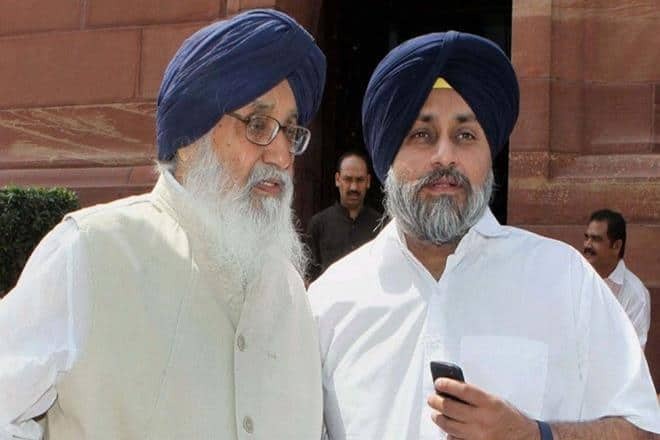 For over a decade the Badal clan had a free run as it consolidated its hold over the Shiromani Akali Dal as well as the state government in the absence of Akali stalwarts like Jagdev Singh Talwandi, Gurcharan Singh Tohra and Sant Harchand Singh Langowal. The Akali Dal is the most powerful regional party in Punjab. 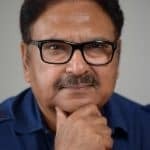 While Parkash Singh Badal held on to the post of chief minister, his son Sukhbir Singh Badal was the president of the party as well as deputy chief minister and Home minister. Harsimrat Kaur Badal was inducted in the central ministry while her brother Bikram Singh Majithia was the third most powerful minister in the Badal ministry. Badals are now under a cloud and old ghosts are coming to haunt them as senior party leaders have begun raising their voice against them. The party, and the Sikh Jathedars (clergy) controlled by the Badals, are heading for a major crisis in the wake of Justice Ranjit Singh Commission report which had indicted the then chief minister and top police officers for incidents of sacrilege and shooting down of two protestors at Behbal Kalan. As the Congress and Aam Aadmi Party leaders are baying for the blood of Badals, some senior SAD party have also questioned the Senior Badal’s move to boycott Assembly during the debate on the Ranjit Singh Commission report. They said the top leadership had run away from the live televised debate and had provided an uncontested platform to political rivals. Senior Akali leaders, or Taksali leaders, like Tota Singh, Prem Singh Chandumajra and other members of core committee, said at a party meet that the boycott of Assembly was a blunder. It is after years that any senior leader had spoken against the top leadership of the party. Trouble for the Badals had started in 2015 when the Jathedars at Sri Akal Takht (Sikh clergy) at the behest of Sukhbir Singh Badal, granted pardon to the now convicted Dera Sacha Sauda chief Gurmeet Ram Rahim Singh without appearing before the Jathedars at Sri Akal Takht Sahib, and without rendering an unconditional apology. The Dera chief was earlier excommunicated from the Sikh community for disrespecting Guru Granth Sahib and violating the Sikh maryada and pretending to be Guru Gobind Singh ji, the 10th Guru of the Sikhs. Human depiction of the Sikh Gurus is forbidden. Sikhs by and large, and hardliners in particular, had been having a strong dislike for the Dera chief for a variety of reasons including his ability to draw majhabi Sikhs to his fold in large numbers. Although he never asked them to give up their religion, the concept of “Guru manyo Granth”, or consider the holy text as the only guru, conflicted with the tenets of Sikhism. It was his emulation of Guru Gobind Singh that incensed Sikhs worldwide. It was considered a step too far. It led to protests and calls for him to present himself at Sri Akal Takht Sahib. As it was with the politics of Badals, they were eyeing the vote bank of Majhabi Punjabis that Gurmeet Ram Rahim could deliver. Ram Rahim sent an unsigned letter without apologising or directly asking for a pardon for his conduct. Nevertheless the Jathedars pardoned him. The Sikh maryada requires a person to present him/herself at the Akal Takht, express regret and accept a punishment, often cursory. Usually it is cleaning of utensils, or shoes or saying a few recitations from the Guru Granth Sahib. Maharajah Ranjit Singh, the only Sikh and Punjabi Maharajah of Punjab had famously accepted being whipped when he was punished at the Takht for indulging with prostitutes while being an Amritdhari Sikh. Thus the ‘politically staged’ pardon of Ram Rahim granted to him without due process came as a rude shock to most Sikhs and led to several protests. This forced the Jathedars to subsequently withdraw the pardon but enough damage had been done. It was under these circumstances that a spate of incidents of sacrilege involving Guru Granth Sahib were reported from several parts of the state. The Justice Ranjit Singh panel’s first report had said Badal and his son Sukhbir secured Akal Takht’s pardon for Dera Sacha Sauda head Gurmeet Ram Rahim in September 2015 to facilitate release of the Dera head’s movie. Though the edict was revoked after backlash from Sikh bodies, the report said it had a “devastating effect and played the role of catalyst in sacrilege incidents”. It had also put Sukhbir, the then home minister, in the dock for “showing lack of will and seriousness” in solving sacrilege cases. Though the exact tally of the acts of sacrilege is not available, it is estimated that about a hundred such incidents were reported in late 2015 and early 2016. That there was a clear pattern in such acts of desecration was an obvious fact. Some suspects were arrested, including Dera followers, but the charges could not be proved against them. The state government appointed Zora Singh Commission to identity the culprits and conspiracy but its report was “inconclusive”. Capt Amarinder Singh government had subsequently constituted a commission under Section 11 of the Commission of Inquiry Act, 1952, to probe cases of desecration of the Guru Granth Sahib and other religious texts at Burj Jawahar Singh Wala, Bargari, Gurusar and Mallke after rejecting the findings of the Zora Singh Commission. Justice Ranjit Singh Commission, while indicting Parkash Singh Badal and the former DGP Sumedh Singh Saini, has also recommended registration of cases against police officers responsible for the firing in which two protesters were killed at Behbal Kalan. Badals have reacted by claiming that the Commission’s report was a ‘sham’ and that it was worth only the waste paper basket. However, in view of the gathering storm, they have announced a series of ‘pol-khol’ rallies in the state to ‘expose’ the government. The cracks developing in the senior leadership pose a serious threat to the Badal clan. The resentment had been brewing over several years as top posts were given only to their favourites. The abrasive and insulting behaviour by Sukhbir towards some senior party leaders had been adding to the resentment. The Akali politics is once again in turmoil. The immediate solace for the Badals is the fact that there is no clear cut alternative leadership and none was allowed to grow in the recent years. Speculations are that senior Punjabi leaders from other parties may join hands to fill the vacuum. The developments would be closely watched. Veteran journalist with over 37 years of experience, including 18 years as Resident Editor of The Indian Express.